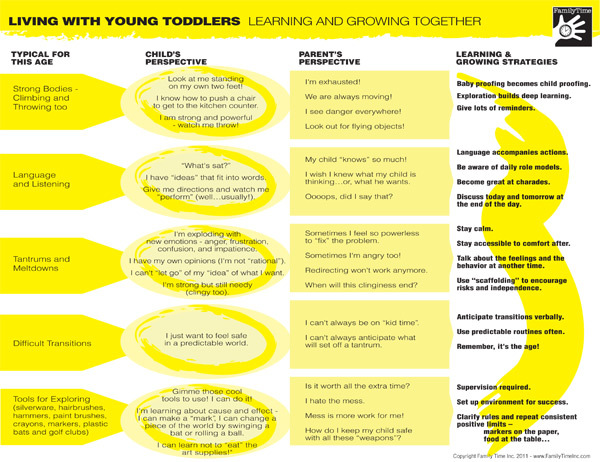 Learning and Growing Together charts are an age-by-age reminder that parents are learning and growing with each new stage in each child’s development. The challenges of each age throw otherwise sane, happy families into frustrating confusion. Welcome to parenting! It’s only in books that parents know all the right things to say and do and where children respond with appreciative agreeability. The secret to enjoying your children through all the crazy-making stages is to expect the age-by-age struggles of growing and learning. Do your best to see things through your child’s eyes and with your child’s heart. Be open to how it feels as a parent to come face-to-face with immaturity, mess-making, uncertainty and myth-shattering reality. Then, step out of both perspectives to create constructive solutions to better handle anything your child does or says. Life is messy! Kids need parents who are adept and resourceful problem solvers, ready to teach, guide and learn along with them. 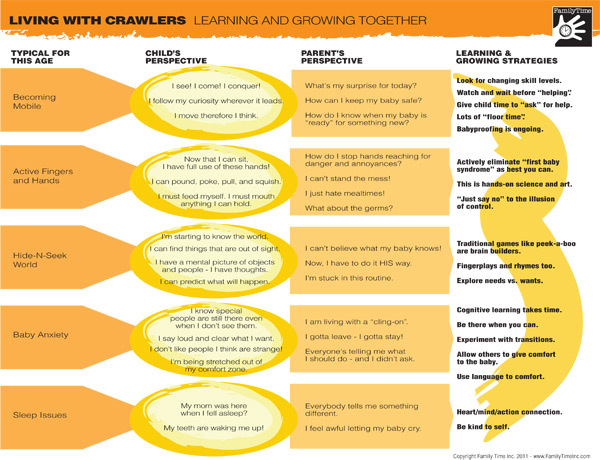 Use these Growing and Learning Together charts to better understand your child’s age-defining challenges. The things that test you and drive you crazy are not personal. They are how your child grows – intellectually, emotionally and socially.